Established in 1868, we are a professional body that accredits professionals within the land, property and construction sectors worldwide. We regulate and promote the profession; maintain the highest educational and professional standards; protect clients and consumers via a strict code of ethics; and provide impartial advice and guidance. Our professionals are required to keep up to date with current practice through a programme of lifelong learning. 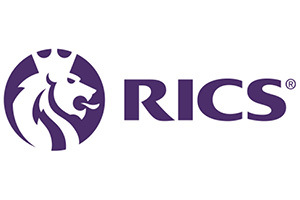 Qualified RICS professionals are recognised by these designatory letters: MRICS (Member) and FRICS (Fellow). RICS in Romania counts over 110 qualified members and is currently chaired by Tim Wilkinson MRICS and our operation in Central & Eastern Europe is managed by Anna Orcsik. With offices covering the major political and financial centres of the world, our market presence means we are ideally placed to influence policy and embed standards at a national level. We also work at a cross-governmental level, delivering a single, international standard that will support a safe and vibrant marketplace in land, real estate, construction and infrastructure, for the benefit of all. We’re proud of our reputation and we guard it fiercely, so clients who work with our registered professionals can have confidence in the quality and ethics of the services they receive.